Hey all and happy Monday! Hope you all had such an amazing weekend and did some fun things! Didn’t do a ton this weekend, just took some time for myself. I am always on the hunt for brands and pieces for my plus size and curvy ladies! Fashion to Figure is owned by NY & Company and is exclusively plus size! They have some amazing pieces and the quality is really nice, especially for trendy pieces. The fabric is high quality, holds up well, and lasts for ladies with curves! 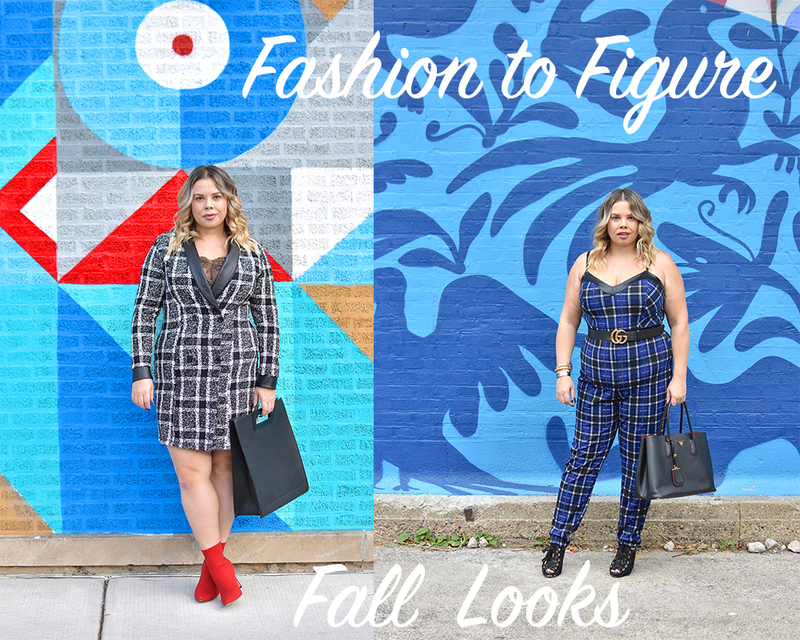 I received a few pieces from them to showcase for fall, but these are two of my favorite looks that I have been wearing on repeat. 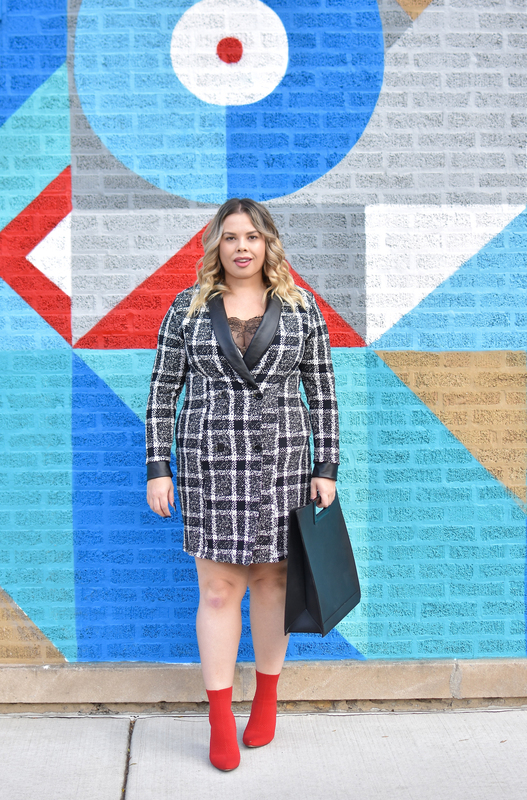 The first is this amazing blazer dress with a classic black and white plaid print. It has been so hard to find blazer dresses in my size, so I really loved that they had an option for me! Sometimes I see pieces in straight size and just genuinely wish that brands would make them in a larger size! The second is this super cute plaid jumpsuit, which is sooo comfy and I find myself throwing it on a ton. I love jumpsuits because you really don’t have to think about an entire look… you can just throw it on and add a belt! They have some awesome new pieces for fall and winter, and a new collaboration with Danielle Brooks from “Orange is the New Black”!! Hope you all have such a fabulous week ahead! I love them both!! So trendy! My favorites is the first one. I am loving these outfits girl!! 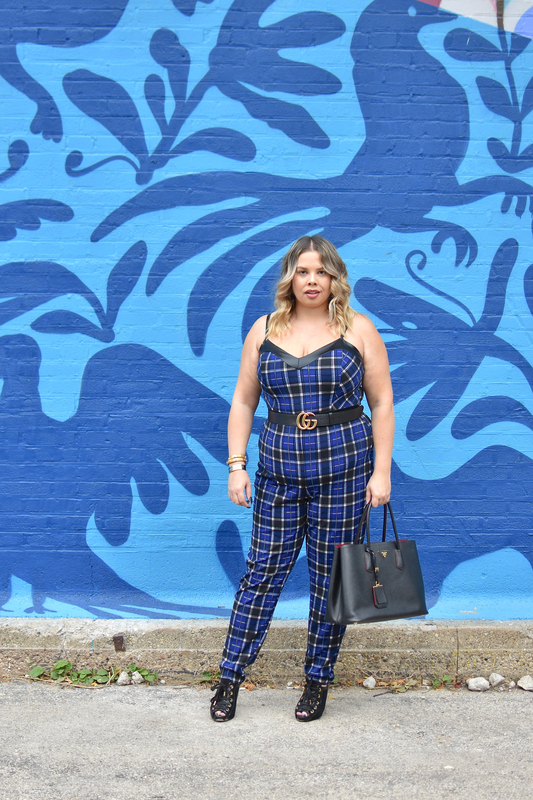 I am loving the plaid print, and this jumpsuit is amazing! 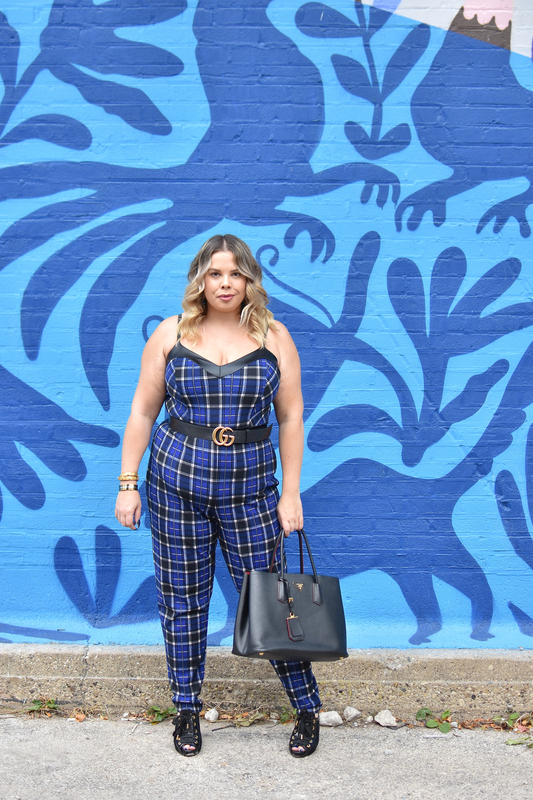 this plaid jumpsuit on you is everything! so so cute! that blazer dress is stunning on you, looks perfectly autumnal!